But don’t take my word for it, make some yourself and try it out. I’ll even give you the recipe. I have to say, I’m making this again and again. 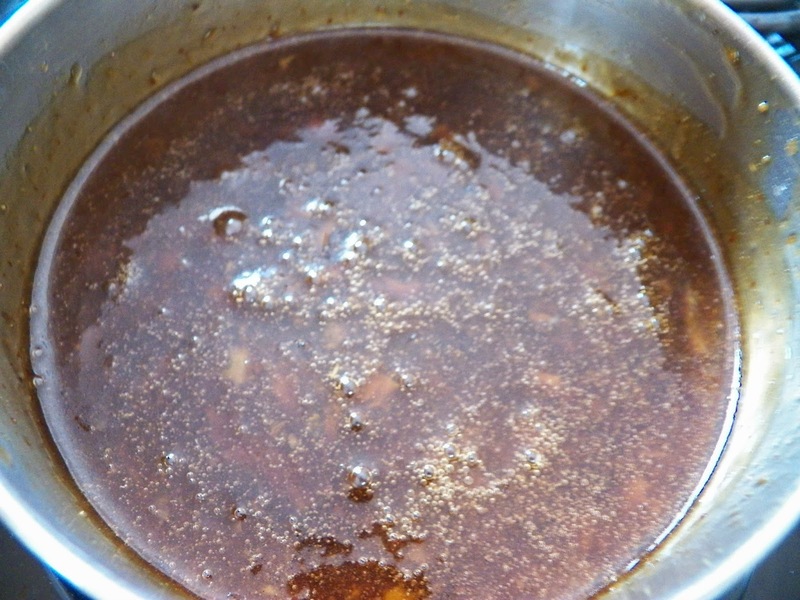 I just made a second batch of this sauce and this time I added a second tablespoon of the Mandarin Fused EVOO and let it cook for a couple of minutes. And I think it’s even better than the first batch. I was in an Asian kind of mood for Tapas this month. I’d planned on making Sushi and Spring Rolls, and I wanted to also make a protein of some kind as well. I was thinking pork, cause let’s face it, pork and sweet and sour sauce or Soy Ginger dipping sauce, it goes so well together. But as I was rooting around in the freezer, I ran across some ground turkey and a light bulb went on over my head. OK, so I hit the light switch with my elbow. I wanted to give it some Asian style oomph so I did what any self-respecting cook would do. 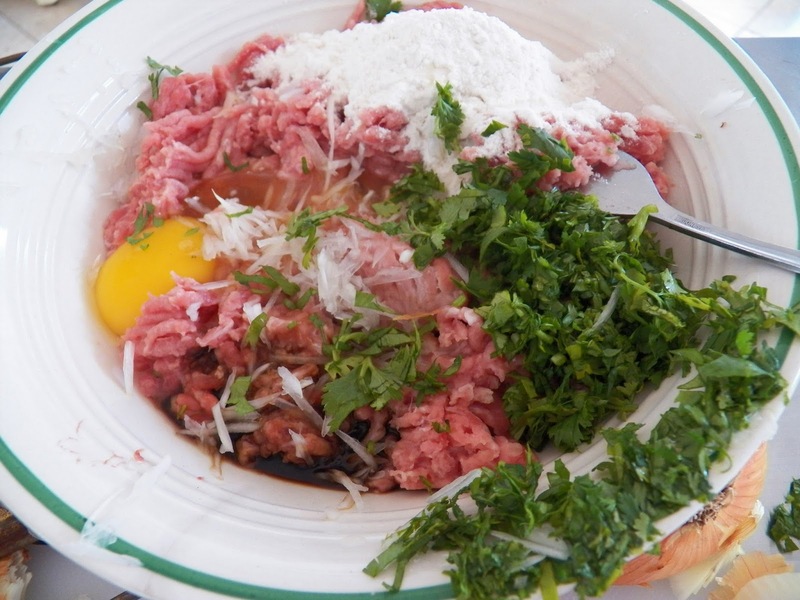 I typed Asian Meatballs with Ground Turkey into a search engine and found several sites. And they all had something in common, actually they had a lot in common. There were two sites who had the same recipe, and not one of them credited the other one. But I’m not like that, so here are the sites I went to, this one then this one, with the same recipe. And the final site I checked out. 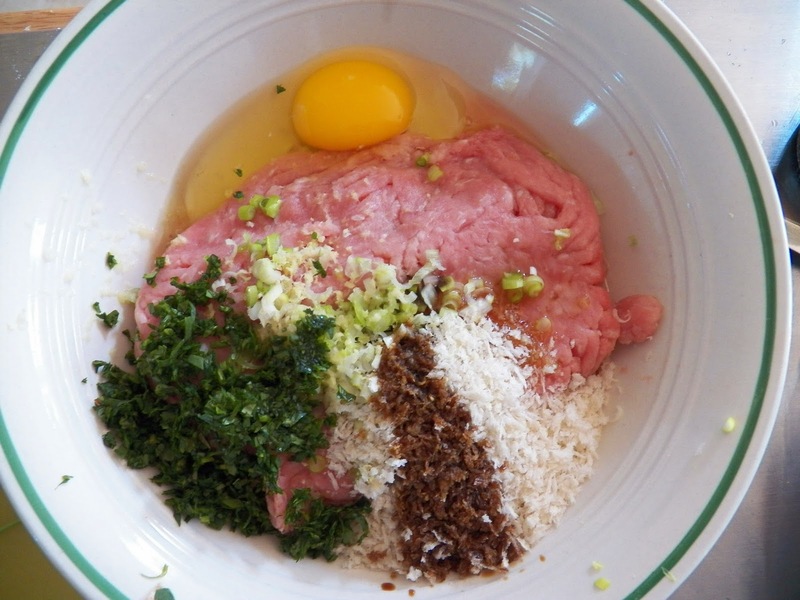 They all had turkey, green onions, bread crumbs, sesame oil and an egg in common. I figured I was on track then. I had all the ingredients so I went to town. Well, not really, I didn’t want to go to town, I just wanted to use what I had on hand. So, I thawed out a pound of turkey, and added an egg, some panko bread crumbs, sesame oil, chopped green onions (scallions if you prefer), chopped cilantro, soy sauce, some grated ginger and a little more sesame oil. Mixed it all up and fried a little of the meatball mixture to see if I had the seasoning right. The time to correct seasonings is before you cook it all up, not after. Believe me when I say I’ve done that before and really regretted it. That is, cooked the entire recipe and didn’t taste test it first. Mix together well, and then take a bit out, fry it and taste for seasonings. I didn’t add any salt or pepper to this, as there is a fair amount of salt in the Soy Sauce. 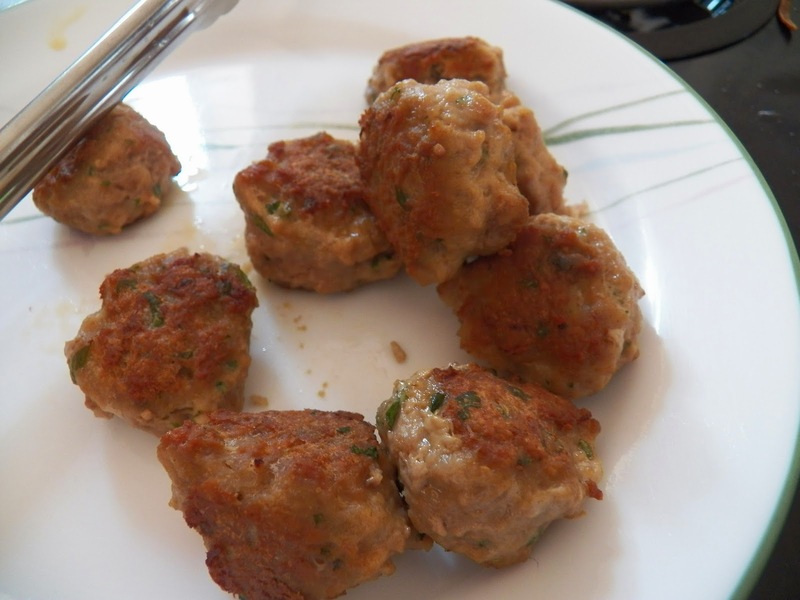 After taste testing it and correcting seasoning, in other words, adding a bit more sesame oil, (at least that’s what I did), use a small scoop or a spoon, or just your hands and form small meatballs from the mix. 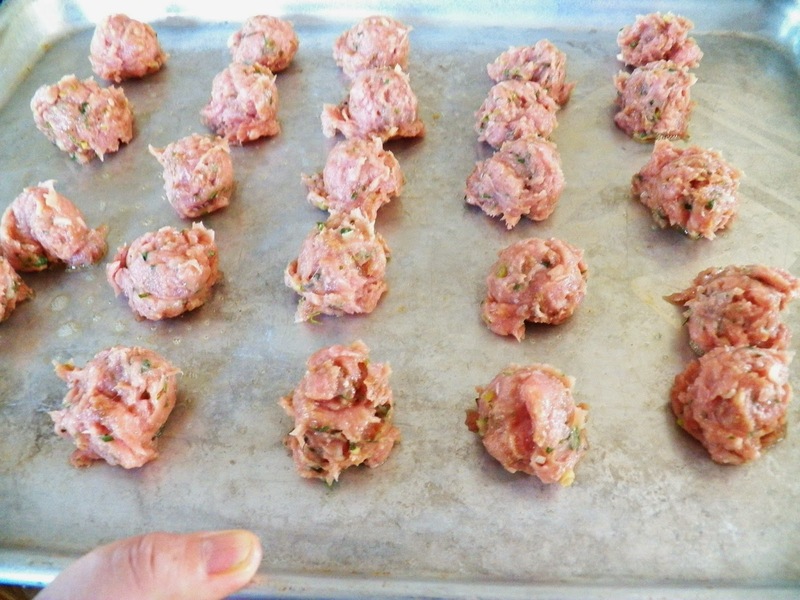 I used my littlest scoop and ended up with 24 mini meatballs. I then placed them on a cookie sheet and baked that at 400 degrees for 15 minutes. They didn’t brown real well, but when I checked the internal temperature, they had reached 165 deg. So I pulled them out of the oven and let them cool. (and forgot to take a picture). I also ate one, just to make sure they were OK to eat. And after all that, I then decided that maybe, if we had a crowd that I might not have enough. So I grabbed another pound of turkey out, defrosted that and made another batch. However, I didn’t realize that I’d used up all the green onions in the first batch, so I pulled a Vidalia onion out of the cupboard and grated up about a quarter of it, and added that to the turkey along with the seasonings. Then I thought, “hmmm, I wonder if I can make this gluten-free by using some all-purpose gluten-free flour’ along with all the other stuff. 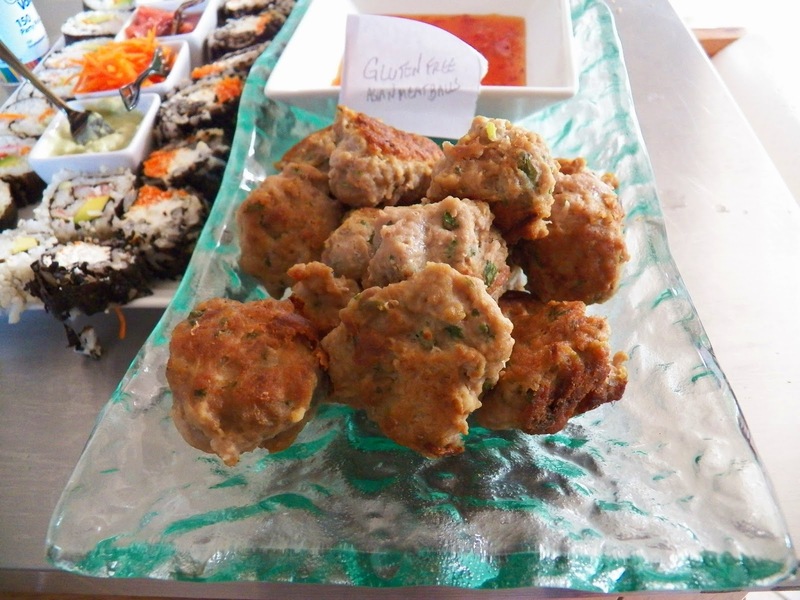 (and yes, I know these are not truly gluten-free as I did not use gluten-free soy sauce, but you can if you like) And as gray pallid and pale looking the first meatballs were, I decided that this batch was going to be fried. So I did, frying them in a little EVOO. And this end of the dish (complete with note) had the fried, gluten-free meatballs. I really loved how they tasted, both versions that is, and would do them again. However, next time, I’m frying them, I think they not only look better, but taste better as well. I’ve shamelessly stolen this dipping recipe and then made it my own. That’s one of the best parts of cooking, we become like musicians, who are jamming together and playing off of each others notes. I’m tone-deaf when it comes to music, but cooking, well, I can really get in there and jam away. Sorry, got carried away there. 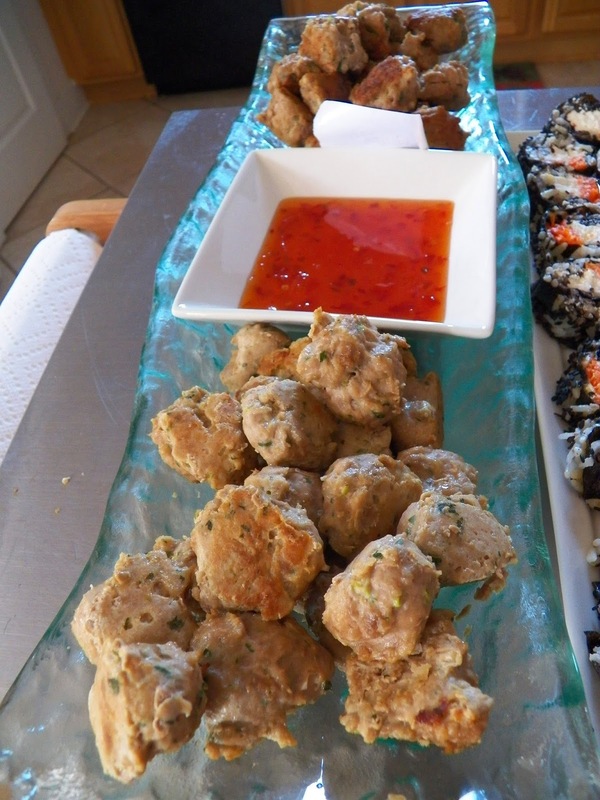 Here’s the back story, a couple of weeks ago, Kathy brought some Pork Tenderloin bites to Boat Club and the sauce she had served with it was really good. And she’s a generous sort of person, and shared the recipe, such as it was. Basically it was a marmalade zapped in the microwave, mixed in equal parts with soy sauce and served. She’d gotten the how-to’s from a restaurant awhile back and made it. Last week at Tapas night I made a Pork Loin and sliced it very thin, and decided I would try making a dipping sauce like Kathy’s to go with it. So I went into my pantry to retrieve the Orange Marmalade I ‘knew’ I’d bought awhile back, and it wasn’t there, but a jar of Ginger Marmalade was. (I still haven’t found the Orange Marmalade, I have no idea what goes on in that pantry when I’m not looking, and I’m not responsible for it either!). 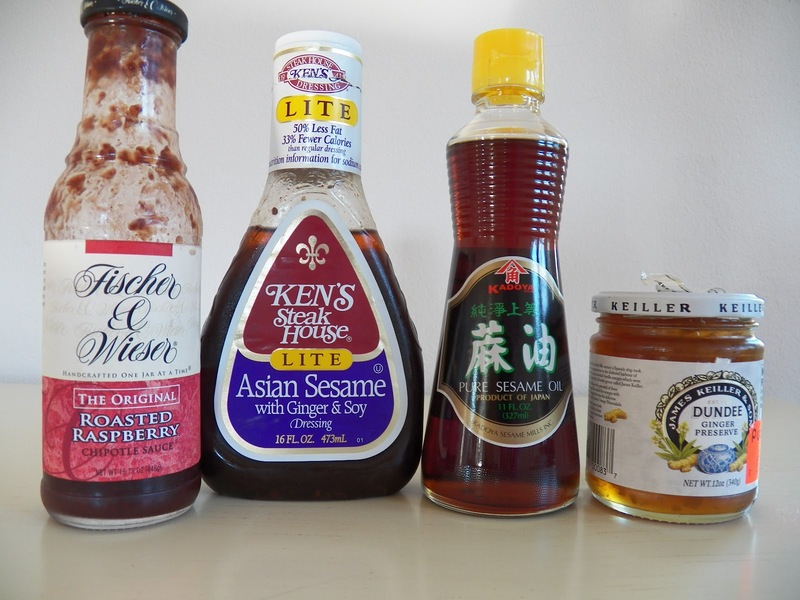 I also spotted some salad dressing I’d purchased and never used, it was Ken’s Asian Sesame Dressing with Soy and Ginger. I had one of those ‘AHA, GOT IT’ minutes, and put the two of them together. And tasted it, but it wasn’t quite right. It needed something. So, I put my head back in the fridge and pulled out some Roasted Raspberry Chipotle Sauce. Added a couple of tablespoons of it to the sauce, and tasted again. Still not quite right. I headed back to the fridge again, but nothing caught my eye. So, I looked in the pantry one more time. 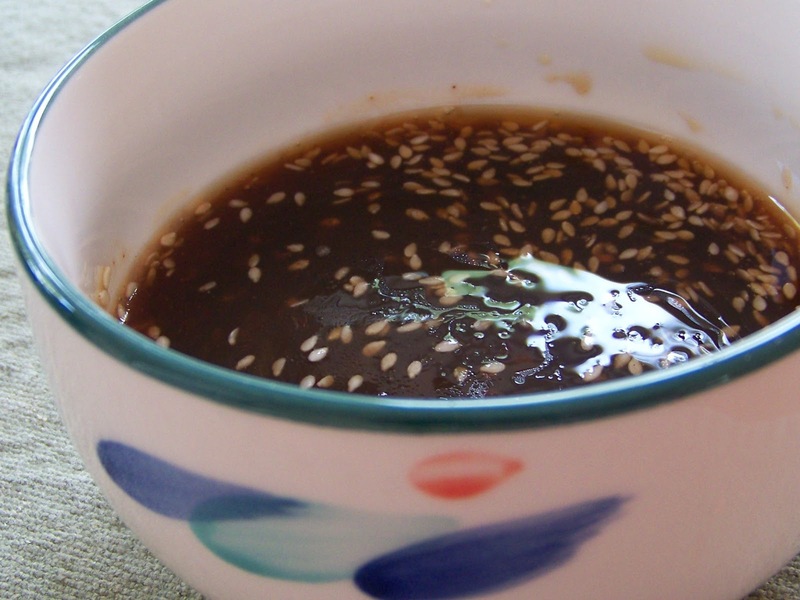 This time the Sesame Seed oil caught my eye, well, it sat and waved at me and said “HEY”, and I listened. Added a teaspoon of it and some sesame seeds for show and VOILA!!!! It sang, and all the notes worked together and it was good. Here’s the basic recipe and feel free to play along on any riffs that come up. 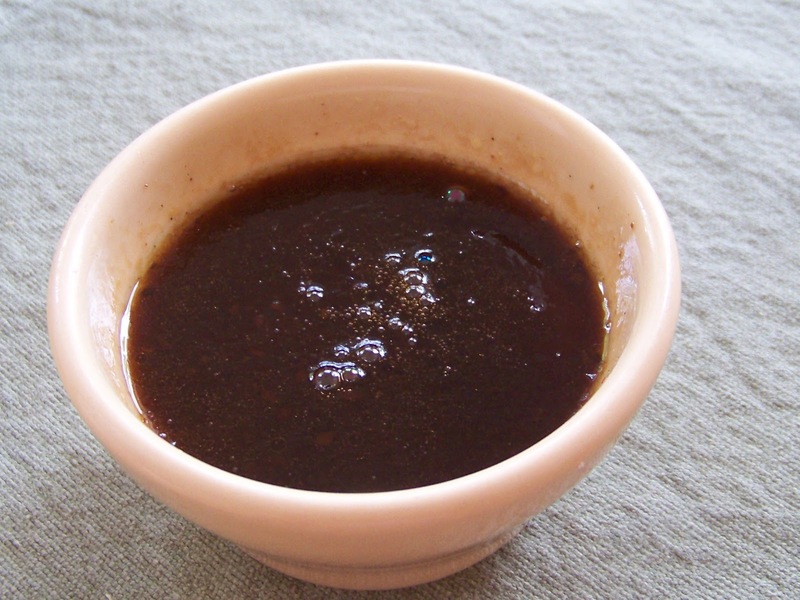 4 Tablespoons Roasted Raspberry Chipotle Sauce, approximately. 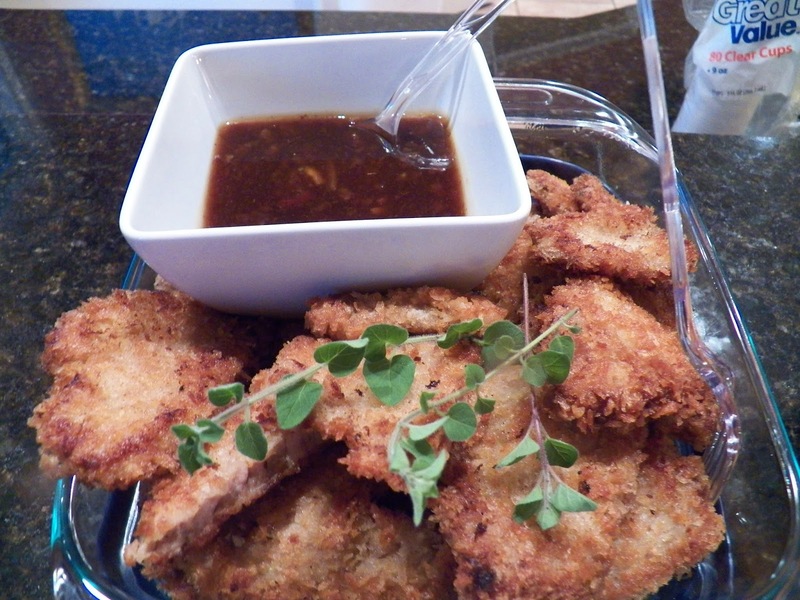 Mix all together and serve as a dipping sauce for Pork, Chicken, Shrimp or even Tofu. I think this would also be awesome for egg rolls, or … Whatever makes you sing. Go have fun, and in the meantime, I’ll be riffing away. 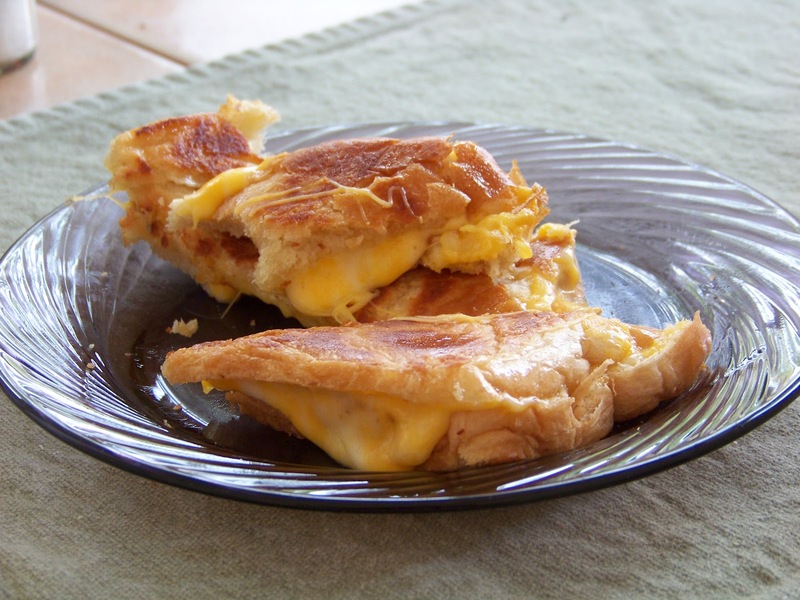 And this is totally unrelated, but had to take a picture of my breakfast this morning, the cheese was trying to escape oozing out in all its melty goodness and it started my day off right.